While many lawsuits settle prior to trial, many cases may proceed to the eleventh hour of litigation, just prior to trial, to settle. Though litigation may involve years of depositions, written discovery (questions and sworn answers regarding claims), and motion practice, the parties rarely, if ever, have a chance to sit down face-to-face with their opponents and try to resolve their case. Yet often this can be the best way for the parties to come to a resolution. This is why New Jersey courts have been so supportive of mediations. Indeed, in many cases, the Court will require the parties to attempt to settle their dispute through mediation. When requiring the parties to attend court-ordered mediation, the court will initially assign the parties a mediator who has been approved by the court – meaning he or she has received the requisite mediation training. However, the parties may also agree to select their own, mutually agreed upon mediator. This may occur if the parties believe that certain legal issues exist that the assigned mediator has insufficient knowledge of or experience with, or if there is some conflict or other relationship between the mediator and a party that makes it inappropriate for the mediator to be involved in the matter. If the court does not order the parties to mediate, the parties may still agree on their own to mediate the matter and may ask the court for a referral to mediation or simply have their own mediator. When mediation is ordered under New Jersey’s Superior Court Mediation Program, the first two hours of the mediator’s time is free – typically including one hour of preparation time and one hour of in-person mediation. Following the initial two hours, the parties equally share the cost of the mediator. Thus, if the parties immediately find that settling the matter through mediation is unlikely, they can forego the mediation after one hour and continue with litigation without incurring any expenses from the mediator. 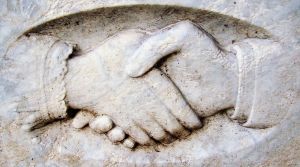 Mediators are neutral third parties who have no interest in or connection to the case or the parties. They are typically attorneys or former judges who have specialized knowledge of or experience with the types of issues and laws involved in the case. Therefore, they can use their knowledge to understand each parties’ arguments and point out both the strengths and the weaknesses of each side’s position. While the mediation allows the parties to discuss their viewpoints face-to-face, often the mediator will split the parties up and talk to them individually to hear their arguments independently – a sort of “shuttle diplomacy” as first applied to the mediation efforts of Henry Kissinger. This allows the mediator – as a completely uninterested and unbiased party – to explain each side’s argument to the opposing side, and to filter out rhetoric. The explanation of each side’s case from a neutral third party often carries more weight than any argument by a party itself or the party’s attorney who is, after all, only representing the interests of her client. Statements made in the course of settlement negotiations are generally confidential and are not admissible in court under both the New Jersey and federal rules of evidence. This means that the parties are free – at least to a certain extent -to have open discussions at mediation without any statements later being used in the litigation or at trial. Even if the mediation is court-ordered, that does not mean that the litigation is put on hold. While New Jersey courts are permitted to stay the discovery period of litigation while mediation is underway, they rarely do so, and indeed often specifically require that the parties continue with the litigation without delay. McLaughlin & Nardi, LLC’s attorneys are experienced in both litigating and mediating legal disputes, and can aid in the process of mediation to obtain a quicker resolution. To learn more about what we can do to help, please visit our website, e-mail us, or call one of our lawyers at (973) 890-0004. Tagged: "New Jersey Alternative Dispute Resolution Attorneys", "New Jersey Arbitration Attorneys", "New Jersey Litigation Attorneys" and "New Jersey Mediation Attorneys"